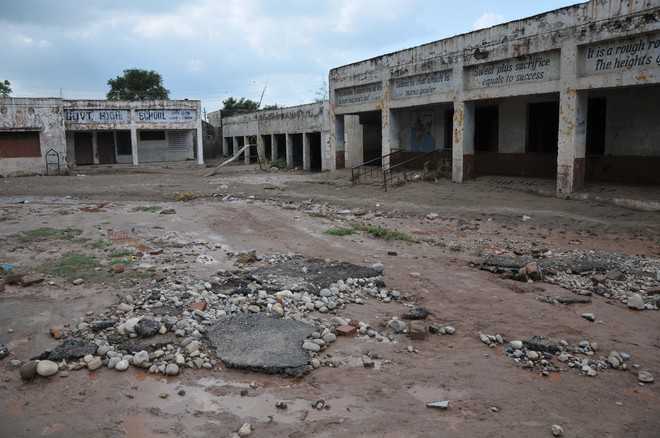 Jammu, The state has failed to upgrade the infrastructure in schools run by it. The problem, however, seems to be more in rural areas, where students are deprived of many facilities. This has been revealed in the Annual State of Education Rural (ASER)-2018 survey, which was released in December 2018. Of the total 22 districts, the team visited rural government schools in 14 districts to take stock of the facilities. According to the survey, around 82.8 per cent government schools have no computer, while 41.1 per cent schools do not have library. The power supply, which has been an issue even with schools in urban areas, only 58.7 per cent government schools in rural areas receive electricity. Another cause for concern is separate toilet facility for girl students. A total of 30.2 per cent schools have no toilet for girls. Further, 7.4 per cent government schools had the facility but the ASER survey team found the toilets locked. The survey further stated that around 36.6 per cent government schools had no drinking water facility, while 8.9 per cent schools had the facility but there was no water supply. The learning capacity of students of government schools in rural areas was also poor, as per the survey. A total of 3.2 per cent children studying in Class III cannot even read letters, while 19.8 per cent can read letters but not words or higher. Further, 34.3 per cent students can read words but not Class-I level text or higher. The team found 2.3 per cent students of Class III cannot even recognise numbers 1-9, while 16.3 per cent can recognise numbers up to 9 but cannot recognise numbers up to 99 or higher. Similarly, 45.2 per cent students can recognise numbers up to 99 but cannot do subtraction and 30.2 per cent students can do subtraction but cannot do division.